A new computer system uses artificial intelligence (AI) to identify a user's bow technique, and could perhaps even tell them how to improve their performance. Machine learning-based algorithms compared arm movements to the corresponding audio, determining which movements created which sounds, within each technique. 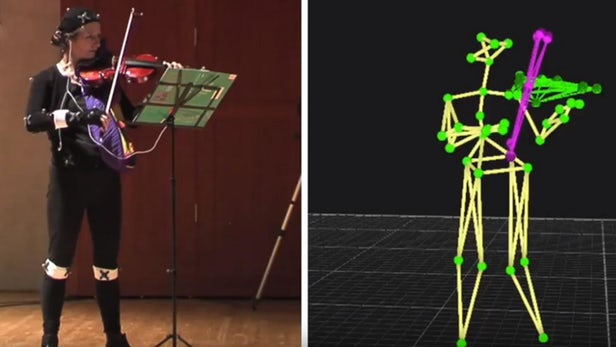 When the system was tasked with identifying the technique that a violinist was using, it could do so with an accuracy of over 94%. 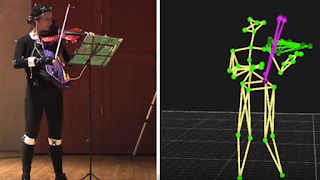 Created by scientists at Spain's Pompeu Fabra University, the system was trained using a gesture-recognizing Myo armband to track the right-arm movements of a professional violinist as she utilized the Détaché, Martelé, Spiccato, Ricochet, Sautillé, Staccato and Bariolage bow techniques. Audio of the performances was recorded at the same time. Machine learning-based algorithms then compared the arm movements to the corresponding audio, determining which movements created which sounds, within each technique. When the system was subsequently tasked with identifying the technique that a violinist was using, it could do so with an accuracy of over 94 percent. It is now hoped that once developed further, the technology could be used to provide students with real-time feedback, showing them where their form deviates from that of the pros. The research, which was led by David Dalmazzo and Rafael Ramírez, is described in a paper that was recently published in the journal Frontiers in Psychology.